This month’s entries of Oligochaetochilus arenicola, Caladenia flava, Calochilus robertsonii , Diuris palustris and Caladenia procera illustrated the variety of shapes to be found in orchids. All but one are reasonably common; all but one were photographed in situ and that one was the winning picture by Kris Kopicki – Caladenia procera. Its common name, Carbunup King Spider Orchid, reflects its location near Busselton Western Australia. This species has a severely limited distribution with a small population and is threatened by land clearing for development. Consequently it is rated as critically endangered. The other aspect of this plant is that it is a photograph of a plant in a pot not the bush. Kris benched the original plant at the September Tuesday meeting when it was still in bud. By Saturday it was in glorious flower. 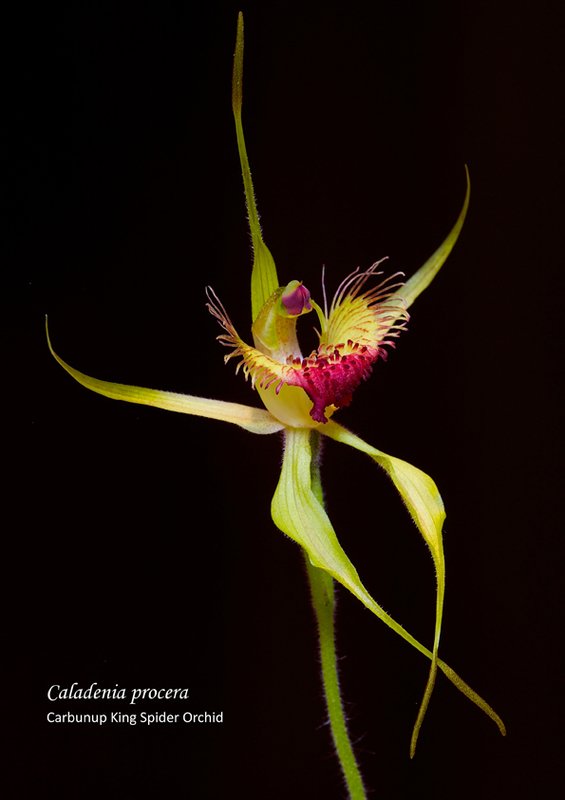 Some terrestrial orchids are relatively easy to grow but not this one. It takes time patience and skill to grow them. C procera is one of the fungi dependent species and though capable of living many years, it can take up to six years before flowering, although under ideal condition it could mature in as little as two years. 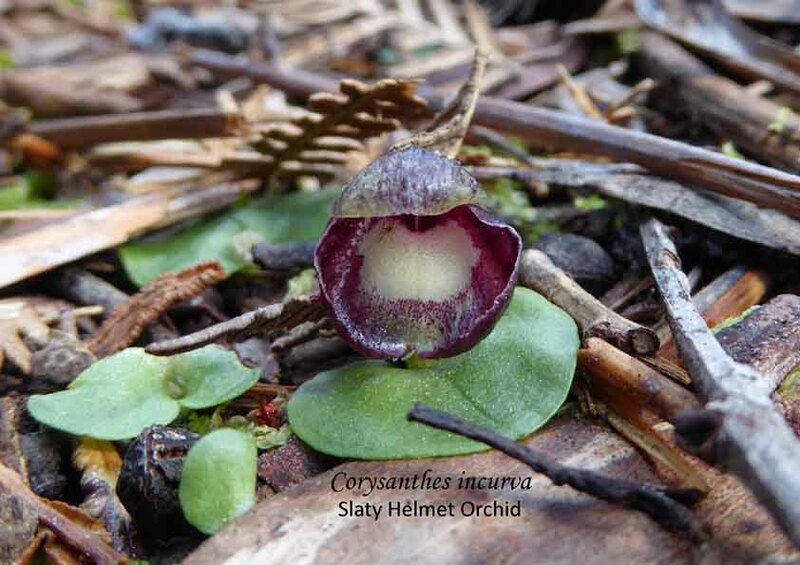 Being able to grow the different terrestrial orchids is one of the ways NOSSA can help in their conservation. 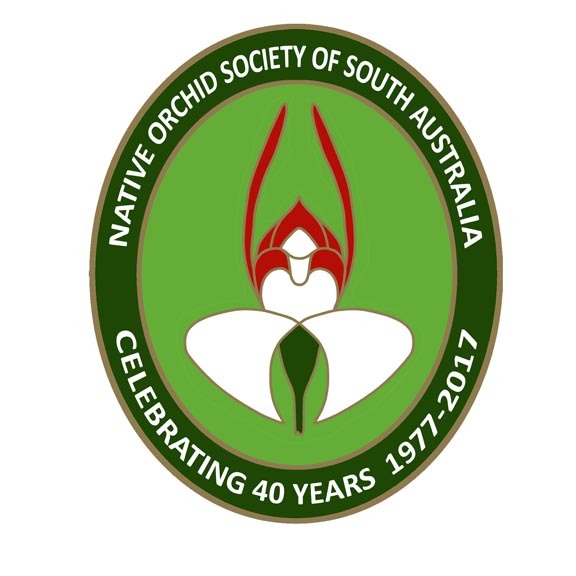 NOSSA has a Growers’ Forum each meeting night where members can attend and learn from experienced growers how to grow both epiphytes and, importantly, the terrestrials.